The Memorial Candle Program has been designed to help offset the costs associated with the hosting this Tribute Website in perpetuity. Through the lighting of a memorial candle, your thoughtful gesture will be recorded in the Book of Memories and the proceeds will go directly towards helping ensure that the family and friends of William Paranych can continue to memorialize, re-visit, interact with each other and enhance this tribute for future generations. William Paranych passed away peacefully at the age of 84. He is lovingly remembered by his wife of 62 years, Phyllis; son Terry and his wife, Heidi and their children, Matthew and Abigail; daughter, Jo-Ann and fiance, Heikki Laitinen; sister Mary; and numerous nieces, nephews and friends. He was predeceased by parents, Zenowy (Sam) and Annie; and sister, Lillian (Dan) Petriw. 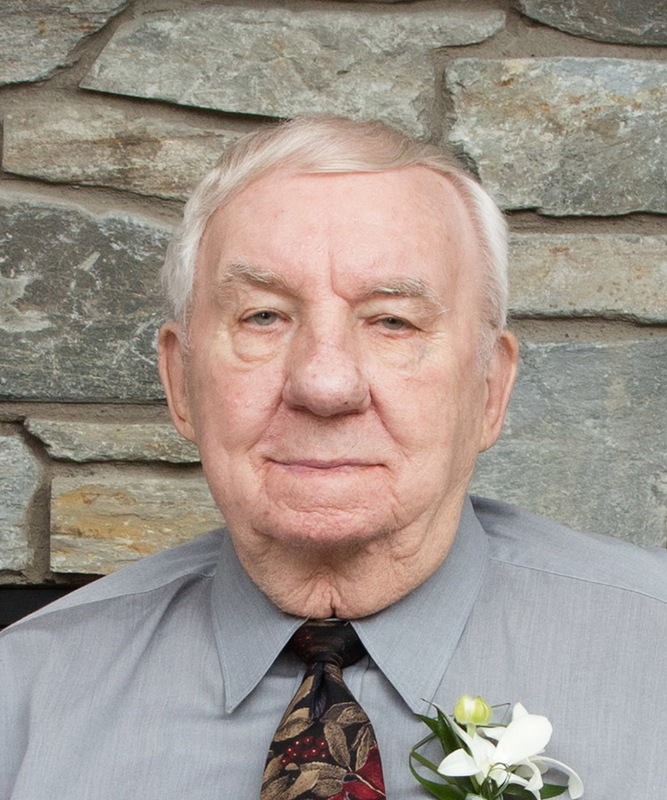 Bill was proud of his involvement in the design and construction of many buildings and homes, including the construction of his parent’s home at age 21. He was a gentle man, always helpful with his handyman skills, and took great pride in the achievements of his children and grandchildren. The family wishes to thank In-Home caregivers Ross Dato and Edith Montecido, and the staff at Benevolence Care Centre. Funeral Service Saturday, May 4 at 10:00 a.m. at Park Memorial Chapel, 9709 – 111 Avenue. Reverend John Burrill officiating with interment in Beechmount Cemetery. In lieu of other tributes, donations may be made to Parkinson’s Society of Alberta, #120 – 6835 Railway St. SE, Calgary, AB, T2H 2V6.